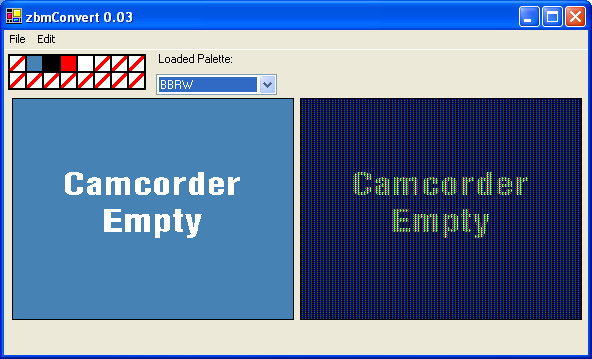 zbmConvert is a program to convert between .zbm files from cvs camcorders and .png files. It is released under the terms of the GPL. The zbmConvert software seems to be old or discontinued. If you need more information please contact the developers of zbmConvert, or check out their product website.